Just as Syrian forces sweep what is left of al-Nusra terrorists from Idlib, reports coming from the AP allege a chlorine gas attack has struck a suburb of Damascus. 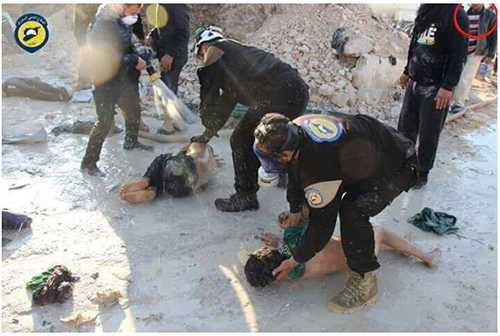 The report cites anonymous rescuers, including the already disgraced and debunked White Helmets, Syrian Civil Defence, and Syrian Observatory for Human Rights. The White Helmets, also known as the Syrian Civil Defense, is an organization led by Raed al-Saleh, a Syrian who helped found the group, and funded by Mayday Rescue, an organization founded by James Le Mesurier, a former intelligence officer with the British military. According to the website for his Mayday Rescue organization, funding for the program does come largely from the UK, Denmark, the Netherlands, Japan, and Germany. Now a bombshell analysis from the Swedish NGO Doctors for Human Rights (SWEDHR) accuses the Syrian Civil Defense (aka the White Helmets), of falsifying information about its “humanitarian work” in Syria. The boy in question – Omran Daqneesh – it turns out is alive and well and living in Aleppo with his family, who are furious at the way his story was manipulated. Omran’s father, Mohammad Daqneesh, says his son was only lightly injured, that he knows nothing of any air strike, that his son was injured from falling rubble caused by an unidentified explosion, and that he resisted intense pressure from the Al-Qaeda led Jihadi who was at that time in control of eastern Aleppo and their White Helmets collaborators to corroborate their story. Independent evidence now casts doubt on the theory that the explosion was caused by an air strike. 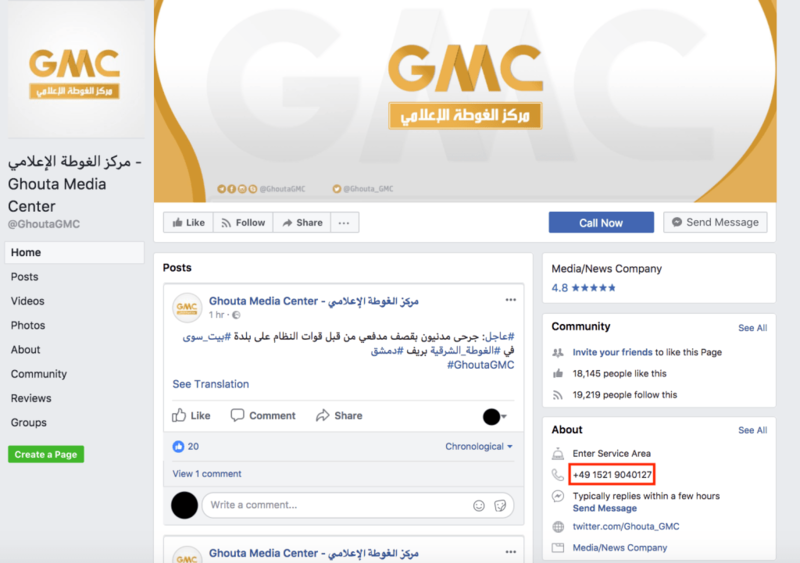 We also see outlets like Reuters and AP are citing a group called the Ghouta Media Center – an activist-operated media organization with a questionable background. It says the rescuers evacuated more than 20 civilians, most of them women and children from the area, which they say was hit with suspected chlorine attack. 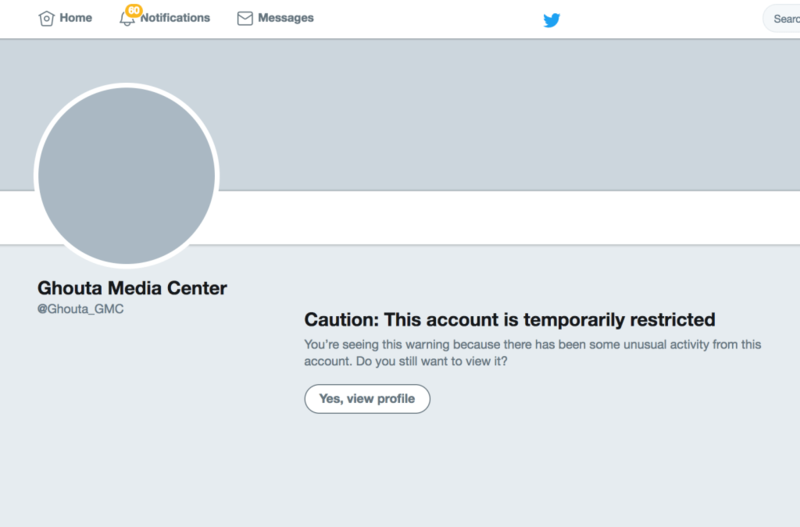 The Ghouta Media Center, an activist-operated media, also claims the attack involved chlorine gas. Activists say a foul smell followed a series of bombings that hit the Douma neighborhood. Their Facebook page shows their official contact number includes the country code from Germany and their Twitter account was only established a few months ago. Here again, we see major news networks citing discredited organizations to peddle factual events taking place without questioning the authenticity of those reports, or who is really behind them. With discredited sources like the White Helmets or the Syrian Civil Defence, one must remain diligent not to fall for such lies that would lead to further disaster and conflict.